Referring to BJP candidate for outer Manipur, HS Benjamin Mate, the Commander of the KNA warned that if required violence will be resorted to. Guwahati: Ahead of Lok Sabha elections, village heads of Manipur are being threatened by the Kuki National Army to ensure that 90% votes are cast for the BJP, otherwise they will be summoned and held responsible, then punished. The KNA commander said that despite a lack of active female police or force within the group, a special force comprising 200 women has already been assigned for the polling day (April 11). “Whether men or women, nobody will be spared if they the diktat is not followed,” he said. Haokip further claimed to have informed the ‘Gaon Bura’ or the head of the village that he needs free movement and may even open fire on the day of polling. There are 21 polling stations in Moreh area and they will check the poll percentage and requires a minimum 90% votes. The Kuki National Organisation and its arm – the KNA were formed in 1988. The first batch of cadres, under the command of Thangkholun Haokip, was trained by the Kachin Independent Army in Myanmar. The KNA has an estimated strength of 600 cadres armed with an array of weapons like AK-Series, G-series, M-series and 60mm mortar. The main objectives of the KNA is to bring all the Kuki-inhabited areas separated by the artificial boundary created in 1935 (specifically in the Kabaw valley of Myanmar) in Manipur under one administrative unit called ‘Zalengam’ (Land of freedom). In case the integration is not realised, the KNA aims at the creation of two Kuki states: one within Burma, ‘Eastern Zalengam’ and the other within India, ‘Western Zalengam’. The KNA has avoided a confrontation with the security forces, but made appeals and sent petitions to the Government of India and other high-level officials in New Delhi for fulfilling their objectives. A Memoranda was also submitted to the Government of India in 1995. On September 22, 2005, then Union Defence Minister Pranab Mukherjee announced that at least eight militant outfits (including the KNA) in Manipur have declared informal ceasefires with the Centre. 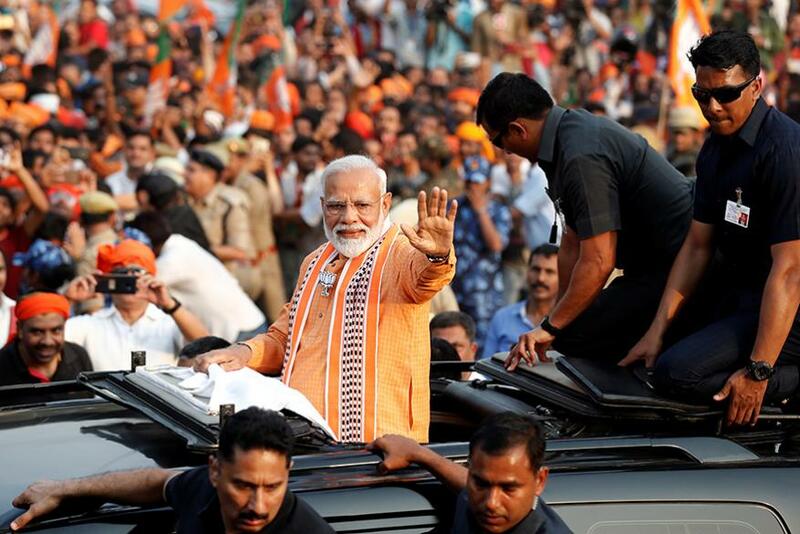 Moreover, two Manipuri insurgent groups have also requested the ruling BJP to give tickets to their favoured candidate for the Outer Manipur parliamentary seat. 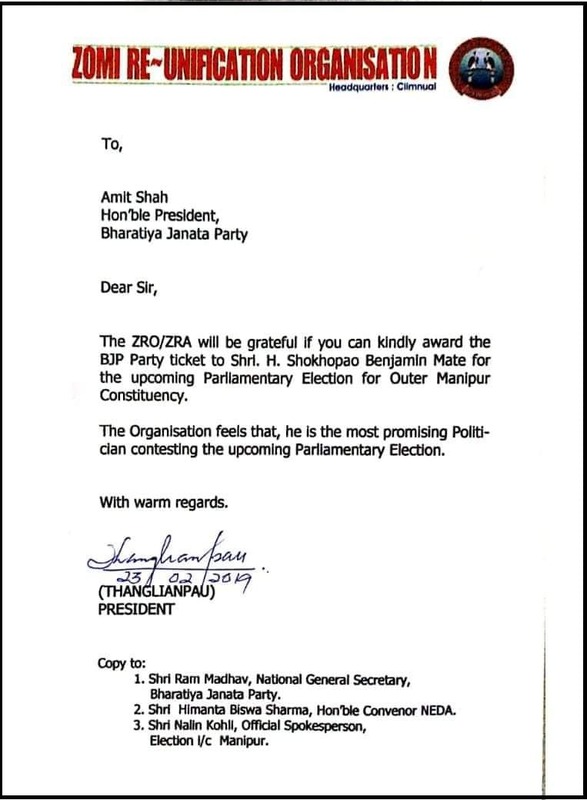 In separate letters to BJP party president Amit Shah, the Zomi Re-unification Organisation (ZRO) and Kuki National Organisation (KNO) had sought BJP’s ticket for HS Benjamin Mate who is the vice president of BJP’s Manipur unit.